Sing with me. Memories…..Like the corners of my mind. Misty water-colored mem….Okay, that’s enough. I actually started to sing out loud and some dog down the street started howling. Barbara Streisand I am not. However, this post does bring back a memory. A memory of my dad. 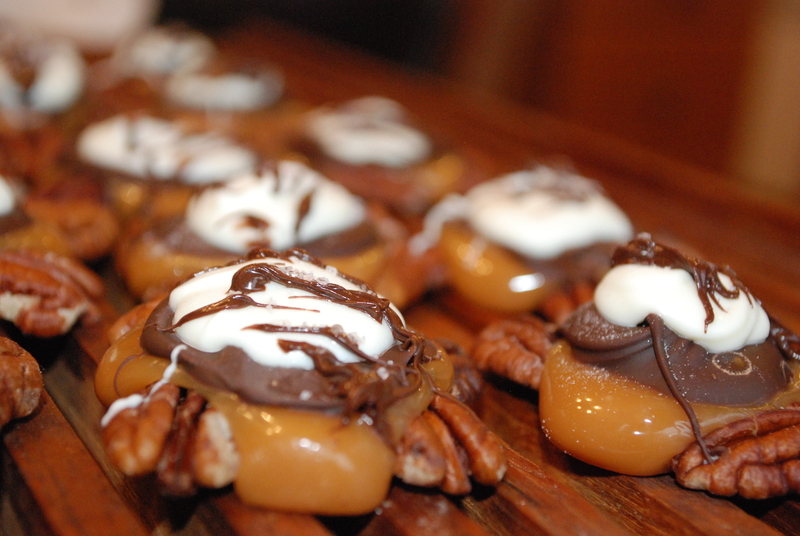 And the memory is that my father LOVED Pecan Logs! I can never see any type of caramel/pecan candy without thinking of him. 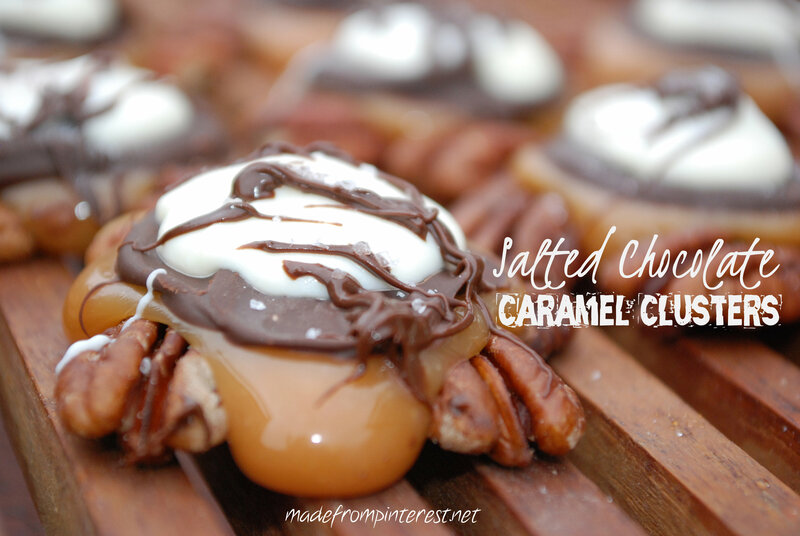 So when I pinned this pin for Salted Chocolate Caramel Clusters from The Small Things Blog, memories of my father came rushing back. 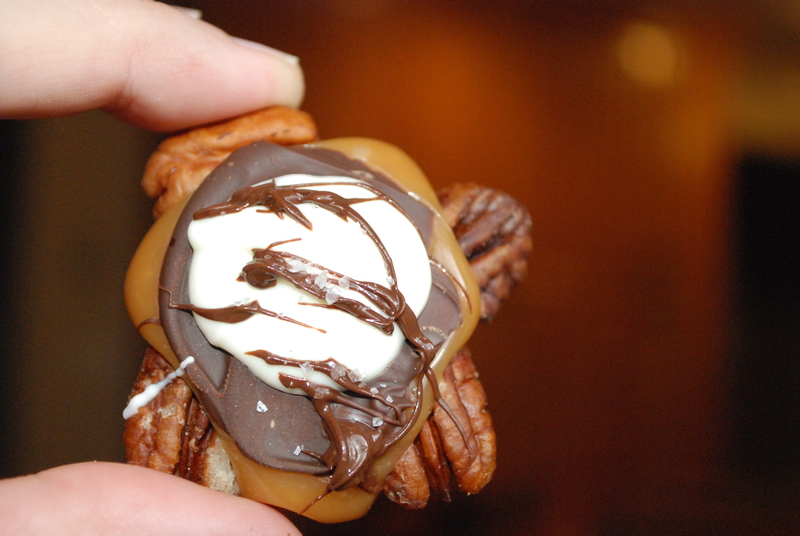 My dad would eat anything with caramel and pecans until he was sick. Anytime I went somewhere and found a pecan log, I never failed to buy one for him. Don’t tell my two sisters, but just this one act alone made me the favorite daughter. Me buying him pecan logs. It was kind of “our thing”. So if you have some time today, make some of these Salted Chocolate Caramel Clusters and maybe give some to your father. He will love them. And he might just even bust out singing…Memories…. My dad would agree that This Pin Rocks! In a small saucepan combine caramels, milk and vanilla. Heat and stir over medium heat until caramels are melted and mixture is smooth. Don't let them burn! Spoon caramel over each cluster of pecans. Return saucepan to heat periodically if your mixture starts to harden before you've finished all your clusters. Let stand for about 30 minutes or until firm.